Thank you for your interest in the content on the GBA website. The page you are wanting to visit is for members only. 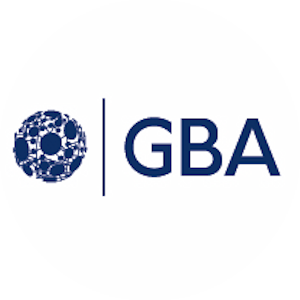 Scroll down to learn more about the benefits of joining GBA. WHY JOIN GOVERNMENT BLOCKCHAIN ASSOCIATION? Government Blockchain Association is dedicated to the robust, ethical and efficient adoption of blockchain based solutions by governmental organizations, globally. Blockchain is rapidly emerging onto the technological landscape and we believe the best way to benefit from it is to get involved. This is true if you’re an individual, a public servant or a company employee. Think about the potential for any governmental organization to do more, accomplish it faster and at a higher quality by using modern software and networking. This is the promise of blockchain: better, faster and less expensive while increasing security for all parties involved. Be willing to pilot, trial or simply explore blockchain as a possible solution to their obstacles. The good news is that the “train is already leaving the station”. We are seeing insightful and motivated civil servants who are tackling the challenges of tomorrow with fresh eyes. We invite you to select one of the categories above and get involved. The world will better for it. Our membership is comprised of professionals from across the globe from all walks of business and government. This includes policy leaders from at the local, provincial and federal/international level, as well as public and for-proﬁt oriented professionals. The value of being a member of the Government Blockchain Association (GBA) will be priceless for any professional or organization that desires to lead, or even simply monitor-the global transformation as blockchain improves government services across the world. In summary, we will serve our members (be they civil servants or commercial entities) by connecting them to the heartbeat of blockchain and government activities.